At Whitchurch Primary, children in Years 2 and above will be able to access their homework set by their teacher and get instant results by logging in to the online student portal at home. We provide our pupils with their own secure log-in details. 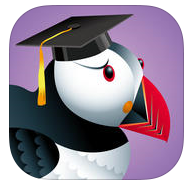 We are delighted to announce that MyMaths has been made available through Puffin Academy, allowing pupils and teachers to easily access MyMaths on most tablet and mobile devices, including iPads.